Import Canon C100 Mark II MTS to FCP/Premiere/Avid for Editing » AIC Converter-Import AVCHD/MTS to FCP/FCE/iMovie How to import MTS files to iMovie on Mac Mountain Lion/Mac OS X Lion etc.? How to Log and Transfer MTS to Final Cur Pro (X)? How to edit MTS footage in iMovie? How to import AVCHD files to Final Cut? How to Convert AVCHD/MTS to PorRes? How to encode AVCHD MTS to AIC .mov? The Canon C100 Mark II Digital HD Camera offers all of the advantages of its predecessor while adding advanced new imaging and operational features by popular demand. In addition to improved RGB video processing, the camera’s dual codec capability supports simultaneous AVCHD and MP4 recording, including 59.94P capture along with slow and fast motion recording. As we know AVCHD MTS format is great for recording footage from the camera, but it can be a challenge for editing. Although FCP now has the ability to support MTS videos natively, it doesn’t mean you can edit MTS in FCP smoothly all the time. There is a well documented bug with editing long AVCHD clips in Adobe Premiere Pro. One of the affected camera is the C100. Adobe acknowledged the existence the bug some time ago and although they final announced that they are committed to fixing the bug. However, it’s still painful experience for C100 owners who want to edit Canon C100 Mark II AVCHD in Premiere Pro, as so many issues still exist. 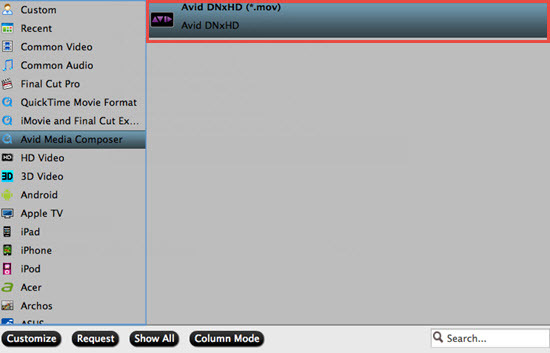 AVCHD is a high compressed codec and it’s not a good editing format for Avid MC. Besides, the 5.5 version is out-dated and needs to be upgraded. The latest Avid MC 6.5 may support to import C100 Mark II AVCHD files without any trouble. If you think it is a troublesome thing, you can use a third-party program to convert Canon C100 Mark II MTS to ProRes for FCP, MPEG-2 for Premiere, DNxHD MOV for Avid Media Composer. 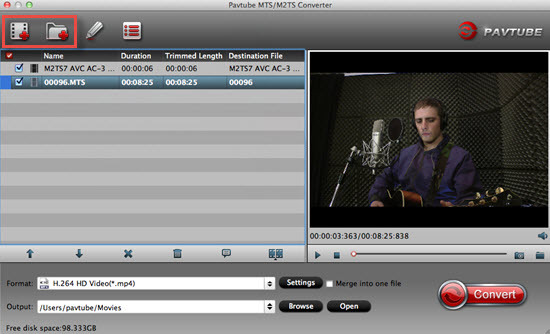 The utility applied here is the professional Pavtube MTS/M2TS Converter for Mac (review). By running it, there’s no need to set the codec by yourself; the Mac program has optimized presets for FCP/Premiere/Avid Media Composer. It can also help you convert C100 Mark II AVCHD files to AIC for iMovie and more. Tips: For editing C100 Mark II MTS in FCP, choose “Final Cut Pro>>Apple ProRes 422 (*.mov)”. For editing C100 Mark II MTS in Premiere, choose “Adobe Premiere/Sony Vegas>>MPEG-2 (*.mpg)”. Step 4: When everything is ready, click “Convert” to start converting C100 Mark II AVCHD MTS to ProRes/MPEG-2/DNxHD. This Mac MTS/M2TS Converter supports batch conversion so you may load multiple files and convert them at one time. Conclusion: After converting, you can get the generated files by clicking “Open” button. 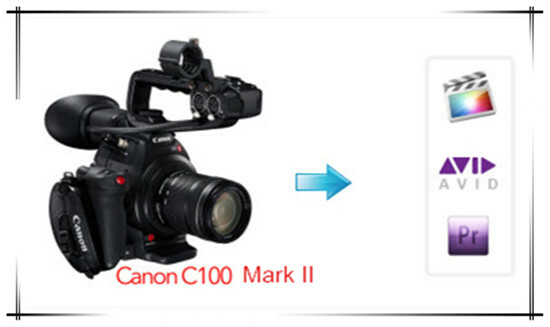 Now, you can transfer Canon C100 Mark II MTS to FCP, Premiere, Avid Media Composer freely.